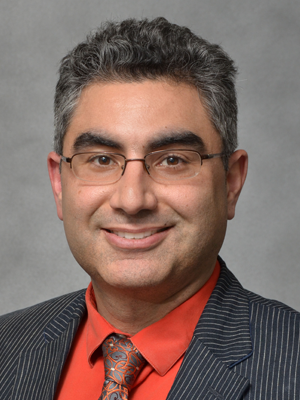 Emil Lou, MD, PhD, is an Assistant Professor and gastrointestinal oncologist at the Masonic Cancer Center. Lou also runs the Lou Lab at the U of M where his main research interest involves investigating tumor heterogeneity and intercellular communication in a spectrum of invasive and aggressive solid tumor malignancies. Lou's research efforts focus on investigating the biology of cancer cells as they relate to invasion, progression, tumor recurrence, and chemotherapy resistance. Clinical interests and areas of expertise include: pancreatic cancer, esophageal cancer, gastric cancer, colorectal cancer, cancer metastasis, solid tumor metastasis to the brain, and primary brain tumors. Lou is a member of the Masonic Cancer Center’s Tumor Microenvironment Research Program. Lou also has expertise in use of social media in clinical oncology, cancer research, and patient advocacy, through use of Twitter and other online forums. He was a participant in the AACR-ABC News Live Stream "Breakthroughs in Cancer Research" from the 2015 AACR Annual Meeting which can be viewed here. Read Dr. Lou's full biography.